Testosterone is one of the most important hormones for triggering anabolic reaction in our bodies and building a lean muscular physique. This is why it makes sense that people have tried to boost their testosterone levels for centuries. The Romans and Greeks, for example, used to eat bull testicles in order to improve their muscle strength. Although the testosterone boosting supplements have since become less crude and more palatable the obsession remains unaltered. The market today is filled with different testosterone boosters that are supposed to have fantastic effects on the anabolic processes in your body. Although these products have different efficiency and composition, most of them share one common trait: They are all being marketed as natural testosterone boosters. Of course, this situation doesn’t help in simplifying your task of sifting through these various brands and choosing the one that really works. Luckily for you, we’ve decided to make our own research narrowing it down to the three most popular testosterone boosters with confirmed efficiency. Tribulus Terrestris is a widely spread plant which is most common for the tropical areas and can thrive even in harsh environments where few other plants can survive. The main active compounds in this plant are the furostanolic saponins, which create the biological activity. The biological activity of the plant is in close correlation to the amount of active saponins and their composition. One of these compounds is the protodioscin which is a steroidal saponin. One of the most renown properties of this compound is its assumed effect on improving erectile functions. It’s one of the reasons for the popularity of this plant and its application as an aphrodisiac. According to the research, the animal studies have confirmed protodioscin’s ability to increase the testosterone blood levels and the production of luteinizing hormone, which triggers the testosterone production. Still, this testosterone boosting property of Tribulus in humans has not been conclusively confirmed. While some studies report fantastic effects, other studies claim that it has no effect at all. Yet, these negative reports about the effect of Tribulus terrestris in testosterone boosting products might be due to poor quality of production and low concentration of active saponins. Namely a number of studies suggest that the manner of processing the plant influences the concentration of protodioscin in herbal supplements However, there are some products that pack potent concentration of saponins and protodioscin, with the most effective ones having 80% saponins and 40% protodioscin. The products based on Tribulus terrestris vary in potency. Create your dose according to the direction on the product label. Fenugreek is an annual herb with worldwide cultivation. Its seeds are used in various dishes at the Indian subcontinent, while its health properties have been known for centuries and applied in folk medicines in Asia, southern Europe and throughout the Mediterranean. In terms of its active substance, fenugreek is very similar to the previously mentioned Tribulus. Namely, it abounds in steroidal saponins, with high concentration of protodioscin, which boosts the luteinizing hormone and testosterone levels. Recently it has been discovered that fenugreek contains another active substance called Grecunin, which functions as an aromatase inhibitor. The aromatase enzyme produced in our body is responsible for breaking down the testosterone and turning it into estrogen. By blocking the function of this enzyme, Grecunin helps your body maintain high testosterone levels, and diminishes the effect of estrogen. According to a study published in International Journal of Sport Nutrition and Exercise Metabolism, reporting on the research from a blind experiment involving placebo controlled human trial, the daily intake of 500 mg of Grecunin extract during the course of eight weeks, greatly lowered the levels of body fat and estradiol in resistance training individuals, and at the same time it increased the total lean body mass and the levels of available testosterone. Another in vitro study published in Chemical Biodiversity focused on chemical isolation of 8 steroidal compounds derived from fenugreek, testing their individual effect on growth hormone production. The researchers recorded the greatest rise in growth hormone production from saponin I (1250%) and dioscin (1770%) – both found in fenugreek. The products based on this plant vary in potency. Create your dose according to the direction on the product label. Improve your results with products that contain greater percentage of Grecunin. This flowering evergreen shrub is also known as Tongkat Ali, Longjack, Pasak Bumi and many other different names. It mostly grows in Indonesia and Malaysia, and can also be found in Thailand, Vietnam and Laos. 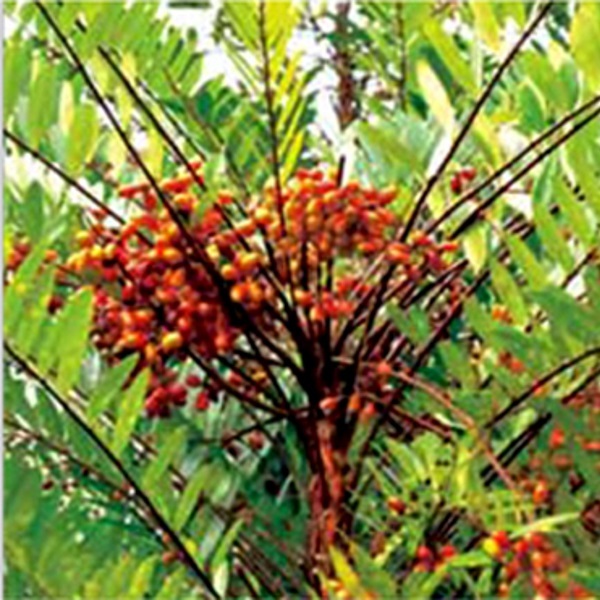 The active ingredients in Eurycoma longifolia are the bioactive compounds quassinoids. The most important quassinoid contained in Longjack is eurycomanone. According to the research data collected from animal studies it has a reported ability for boosting the levels of bioavailable testosterone and it also simulates the production of sperm. Some studies focusing on the effect of Eurycoma longifolia suggest that these plant applies more than one mechanism in increasing the testosterone levels. For example, one of the studies reported that a daily supplementation of 200 mg. of Eurycoma can normalize testosterone levels in men with hypogonadism. These results found their support in a study published in the British Journal of Sports Medicine, which report that the supplementation with active ingredients found in this plan can increase lean muscle mass, reduce body fat and increase muscle size. The results were based on monitoring resistance trained individuals. The products based on this plant vary in potency. Create your dose according to the direction on the product label. The best results are achieved from products that pack 1:200 of pure root extract.